he mouse delivers market-leading optical performance from Logitech, and outstanding user comfort in a newly designed, sculpted shape. Their state-of-the-art optical sensors provide the smoothest tracking on most work surfaces. 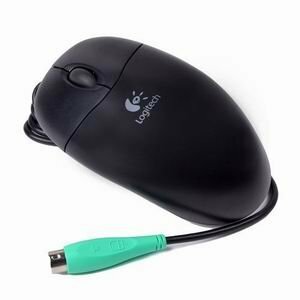 Plus, since there are no moving parts, this optical mouse requires less maintenance and will outlast traditional ball-base mice. The Logitech logo is your assurance of quality from the world's leading manufacturer of computer mice. Colors of mouse will vary depending upon stock.